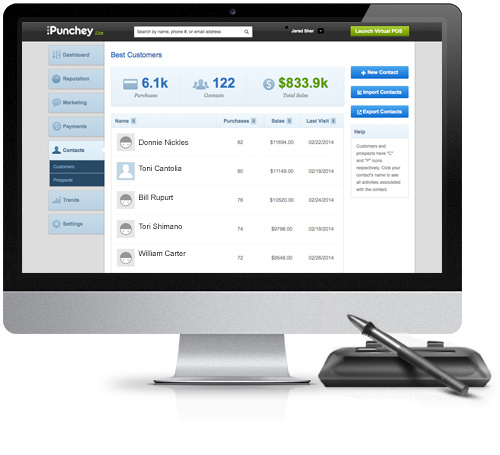 Keep Track Of New And Existing Customers | Punchey Inc.
Trade faceless consumers for individual customers. Manage customer profiles online from their first purchase on. Profiles are hosted on our Internet based processing platform, Punchey Live. Punchey keeps track of every subsequent purchase and allows you to easily search and find customers through any web browser. 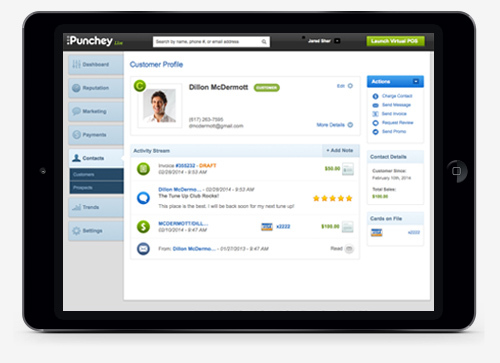 Your customer data is securely stored online and integrates with all of your Punchey terminals and payment software. Cloud Based Back Office - Keep your business organized. Digital signatures, e-receipts are all captured and stored online.